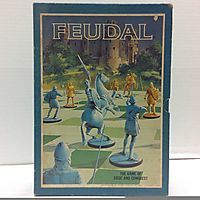 Two Ordinary People from Mundania travel to Xanth to defeat a rogue Night Colt in the latest in a beloved series from bestselling author Piers Anthony. The Night Colt has one ambition: to deliver dreams to the deserving. Unfortunately, only Night Mares can take on this task, and the Colt has no hope of leading his own herd if he can't get any practice. . . . So he's struck a deal with a Mundane. During the hours when the Night Mares rest--dusk and dawn--the duo plants stories in the air, compelling the people of Xanth to enact them--whether they want to or not. 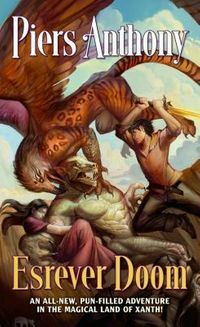 Unwilling to participate in these fantasies, the princesses of Xanth, Dawn and Eve, come up with a plan to fight the menacing pair, but they'll need the help of two unlikely heroes to succeed. In Mundania, a mysterious painting entrances Ordinary People Tartan and Tara. But why do they each see something different when they look at it? They quickly learn that it's not a painting after all, but a portal to a magical world. 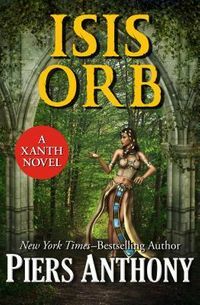 With nothing to lose, they climb through the portal into Xanth and are met with a plea to help stop the Night Colt and his ghost writer. Tartan and Tara don't hesitate to join the quest to save Xanth from the ultimate pun-tastrophe. Together with their new friends, they'll begin a journey full of magic and romance--and, of course, puns--that will lead them to a long-lost prince, a beautiful dragoness, the goddess Isis, and a demon named Ted. With rip-roaring humor and nonstop adventure, the newest addition to Piers Anthony's popular Xanth series is sure to enchant fans of epic fantasy. 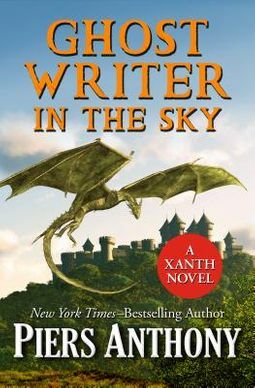 Ghost Writer in the Sky is the 41st book in the Xanth series, but you may enjoy reading the series in any order.